The east London HQ was bursting at the seams of its Victorian industrial building in Woolwich, where the Maestra mission started on January 4th 2016. When the opportunity to take over the warehouse next door arose, it provided an exceptionally convenient solution! The adjacent unit had previously been occupied by a craft beer company, and over the last three years, Maestra’s team had shared a natural affinity with the brand and made friends with the people involved. When they vacated, Maestra realised a great opportunity and took over space. Parts of the walls have been knocked through and the interiors completely re-designed so the two spaces operate as an efficient and continuous workspace with that great Maestra vibe. There are now new prepping and dispatch areas for projects leaving the warehouse, greater space for truck loading as well as enlarged storage and maintenance sections for all the different equipment sections. The extra space made available downstairs has been taken up already with new kit investment. On the first floor, the original Maestra open-plan office space – known for its buzz and energy – has also been dramatically expanded and made into one large integrated space that traverses the two units. 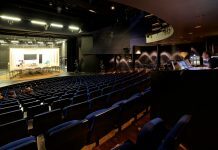 Celebrating its third full year of operation, the dynamic London and Dubai based company finished 2018 with substantial equipment investment – including sound, lighting, video and rigging. This includes a number of white products including d&b speakers and subs, Robe Pointes, Spiider and LEDBeam 150 moving lights and ETC Source Four Junior profiles. Upstairs in the new building, there is a new meeting and client liaison area, plus a bar, two kitchens, as well as a giant glitter ball flown from the ceiling. 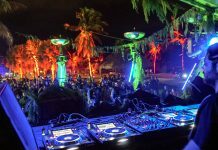 Maestra Group is currently among the fastest growing events companies in Europe and the Middle East, which has stood out for its creative energy and original ideas. 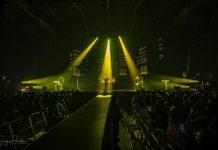 In 2018 Maestra Group serviced over 400 events – from music shows to high profile corporates, brand activations and other live events of all sizes, genres and budgets, bringing quality and innovation to each and making all productions unique and special. One hundred and eighty-two of these were in Dubai and there were 250 plus in London, around the UK and Europe. A total of 29 new individuals joined the Maestra team in 2018 across both locations bringing the total to over 70 full-time staff, with the core teams expanding by one or two a month throughout 2018. “We are extremely proud of our staff retention rates as well as their passion and investment in our brand, company and core values” commented London based business development manager, Euan MacLeod. 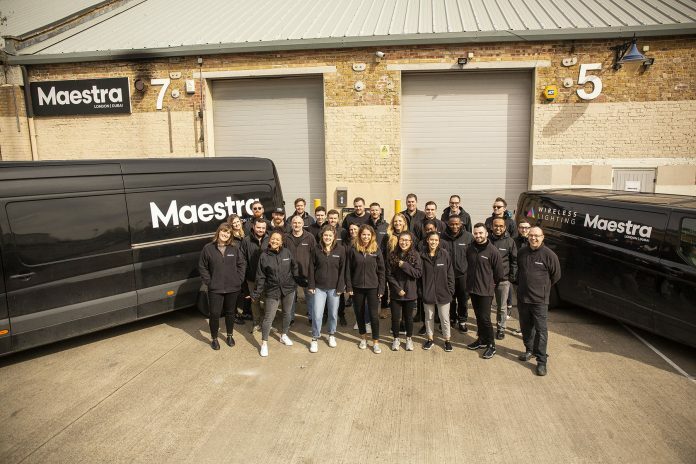 In the three years since Maestra London was launched, the company has built a solid reputation for being accessible and offering exceptional teamwork plus the best technologies to produce vibrant and practical ideas and thinking laterally to deliver its clients the most imaginative WOW factors and maximum engagement for their events. Recent projects have included working on The Grammys and The Brits for Warner Music, as well as working for; Bloomingdales, Cannes Film Festival, Moet and Virgin.